When Tommy’s masterpiece, The Books of Wonder, was finally published in two MEGA sized volumes—it transformed the world of magic forever. Now it’s about to transform YOUR magic. For a short time only: get Miser’s Miracle FREE when you buy these books. Tommy Wonder was an award-winning magician—but that’s only the beginning. In fact, top magicians around the world consider him one of the greatest who EVER lived. When Tommy’s masterpiece, The Books of Wonder, was finally published in two MEGA sized volumes—it transformed the world of magic forever. Never before had there been a more articulate manifesto declaring magic a true art! Each book contains over 340 pages of pure gold. Tommy describes some of the most magical effects—and diabolical methods—ever created. * The secret behind his breathtaking floating birdcage routine, which even fools magicians who KNOW how it’s done! * The Ring, The Watch and The Wallet – The magician places his ring, watch, and wallet into a sealed envelope. The envelope is ripped to pieces—and it’s completely empty. All three items are back where they started! * Nest of Boxes – The magician makes a BORROWED watch appear inside a box…that is sealed within another box. The magician doesn’t even go near the boxes—audiences will swear it’s REAL magic! These tricks and methods are priceless—but in The Books of Wonder, they are only the tip of the iceberg. 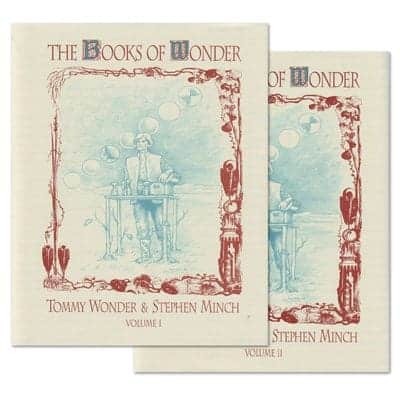 Along with hundreds more pages of effects, Wonder also offers an astonishing amount of practical instruction and clear advice on virtually EVERY aspect of the art. 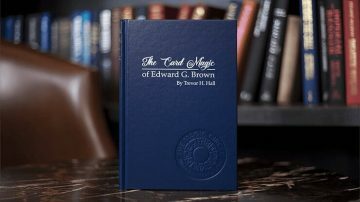 More than any other magic book we know, these books feel like a real conversation. 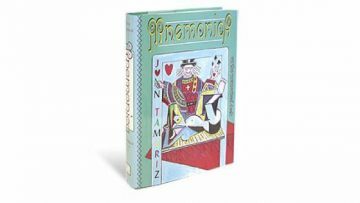 You’ll feel as you’re actually learning magic, one-on-one, from one of the best magicians who ever lived. 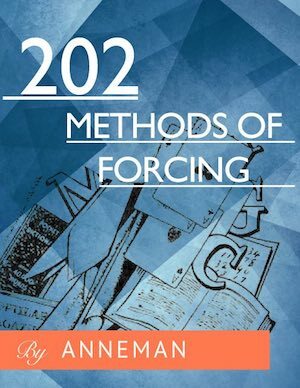 This book actually puts you ‘in the room’ with the master. 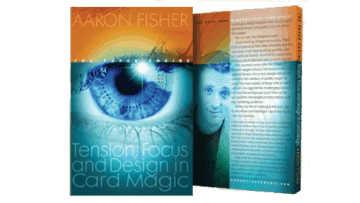 If you love magic, you need these books!